Bark is part of the wood timber,trees,it needs to be debarked when the timber want to be used to make other use.But the bark can be used to make your own wood pellets for heating. 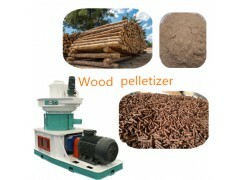 Welcome to buy customized bark wood pellet making machine from Jingerui,which is one of the best bark pellet machine,wood pellet mill,wood pellet maker manufacturers and suppliers in China.Shandong Jingerui has 20 years of experience in making machinery industry,and we have got 14 national patents and CE,SGS certificate.The products we processed have high quality ,and do not worry to use it. 1.Driven by electric motor,more convenient and environment friendly. 3.Flexible and movable pellet mill design,widely used in small wood pellet plant,biomass pellet plant feed factory or home fuel pellets making.